Early in your career you are likely being given employer retirement packages with information on 401ks, company match programs, investments and market indexes, and it can be a bit overwhelming to digest. In fact retirement expert, Jim Poolman, executive director of the IALC, believes that if you don’t wise up now you could end up living your golden years very similar to your dorm-room years, eating ramen and working part-time jobs! And, really, who wants to live like that? Here are 5 tips to help you figure out where to start. 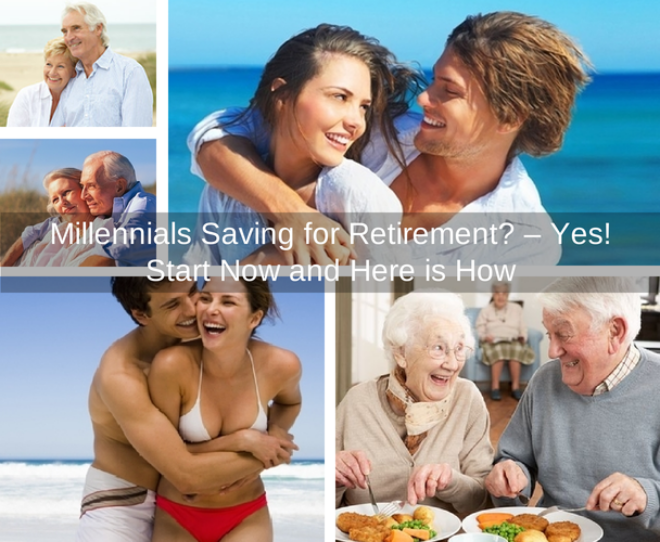 In your retirement do you want to travel, start a business, own multiple vacation homes, etc.? What do you envision your retirement looking like? Once you know you can figure out the costs associated with that type of retirement, and add that to the general cost of living, e.g. bills, food, clothes, healthcare, etc. 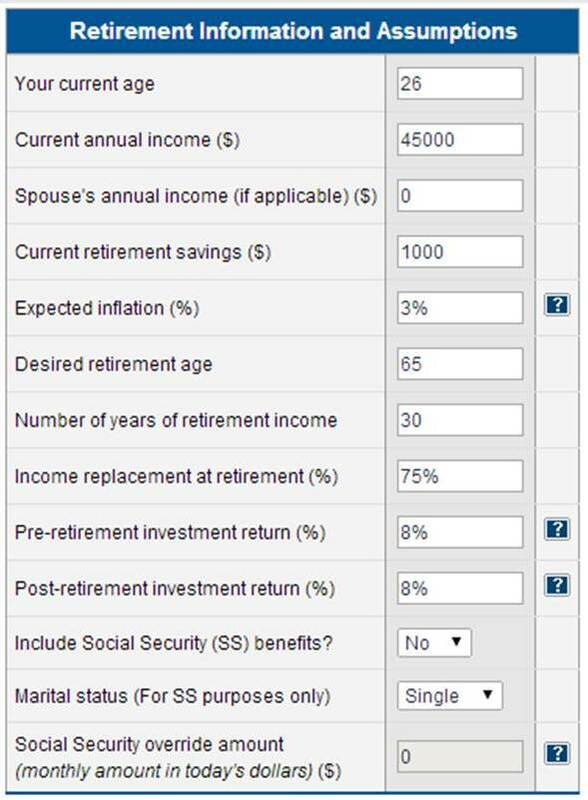 With this in mind you can use one of these interactive retirement calculators that I love, to determine how much you should be saving to make your dream retirement a reality. Here is a sample of what one of the calculators looks like. As a young professional, you have the luxury to put your money into high-risk investments – since your retirement is seemingly far away. However, for the safety of your future, it’s important to balance your retirement portfolio with risk-adverse savings vehicles that offer opportunities for market growth, like a growth stock, with protection from market volatility, like a fixed indexed annuity (FIA). FIAs also pay off with guaranteed income throughout retirement. Retirement, right now, seems so far away. Therefore, it can be enticing to spend extra money instead of putting it into retirement savings. However, saving a little now adds up to a lot later. Regularly monitor how your money is growing over time. Doing this will help quiet that urge to spend because you will see how your saving habits are paying off and you will see how much closer you are to being able to live your retirement years as you have planned out. Less than one-in-ten pre-retirees expect to live to age 91 or older. However, 48% of people have living family members past the age of 91. Truth is, North Americans are living longer, and it’s important to have a retirement savings that will last the long haul. When saving, plan for a long life and include savings vehicles that will last your entire retirement. When moving on from a job, you may face the temptation to cash out any retirement money, but don’t do it! The money that is in there is already accruing interest, and the longer it’s in there, the more interest it will accumulate. If you opt to cash out your 401k and start a new one, you’re starting all over again. Roll your 401k over into your next plan and keep the savings momentum going. When you are young planning for your future may be difficult because so many people have trouble seeing that far in advance. Others feel that they would rather spend all their money now while they are healthy and able to travel more. What you really need to do is balance your finances now. Contribute a portion of your income towards your retirement and save a portion of your income so that you can enjoy life today. That way you can still have fun now, and you can feel secure in the fact that you will have enough money to look after yourself when you turn 91.